updated prior to every race. 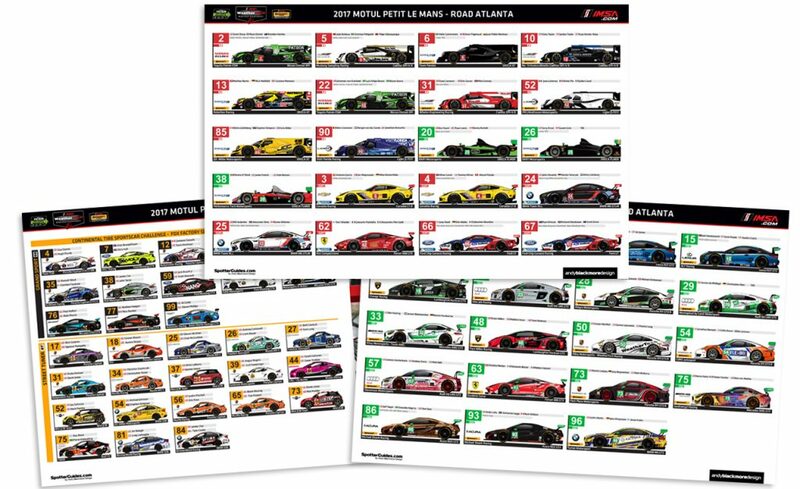 It’s back for an 11th year, the 10th as an official resource, the 2017 IMSA Official Spotter Guide for the final round of the championship at Road Atlanta is now available to download. There will be an update late Wednesday with a couple of embargoed liveries. 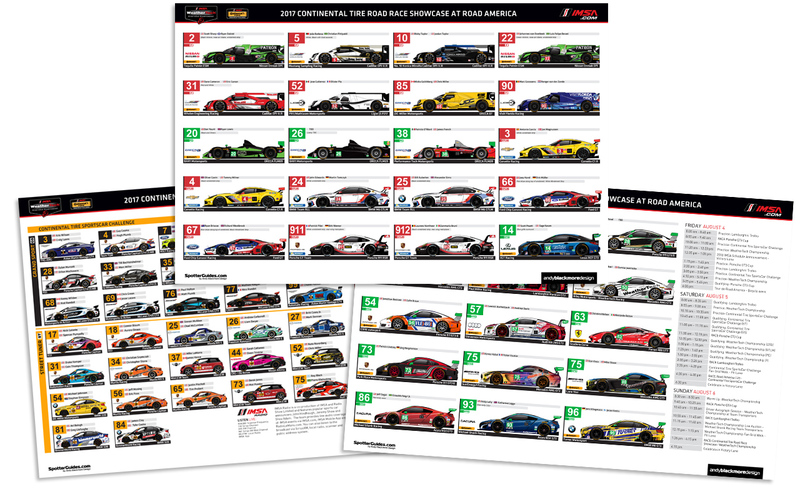 If you are at the event, Andy Blackmore Design and IMSA co-produce a Viewing guide which includes a printed Spotter Guides which is normally available in the IMSA FanZone area. 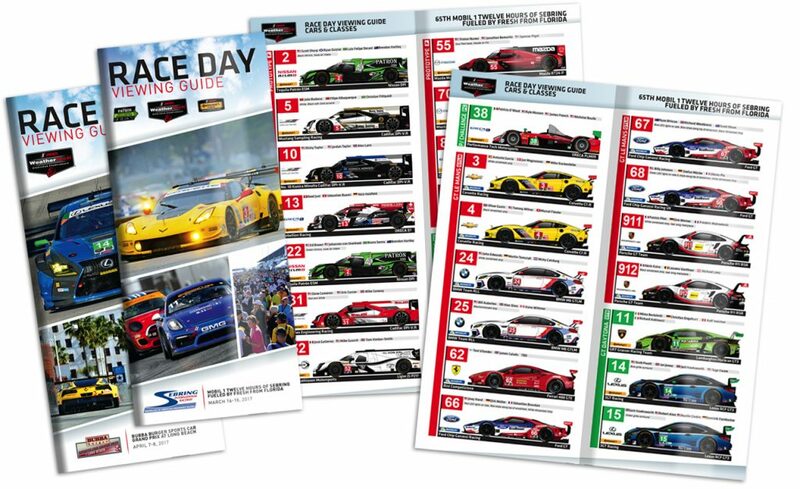 Note, This guide went to press prior to the previous rounds, so the printed guide does not include #6 Penske in WT or the #39 Goldcrest Porsche or #60 KoHR Mustang in Continental. Most of the third drivers hadn’t been confirmed as the printed guide went to press. Thanks to IMSA for partnering with the guide. If you get a few seconds, please thank IMSA on Twitter. Without their support, there would be no guide. Hopefully, the guide will be back in 2018. Massive thanks to the tens of thousands who have downloaded the guide or picked up one of the printed guides at the circuit. Thank you to all the teams who have helped with creating the guide.